The final numbers for the premiere of The Late Show with Stephen Colbert are in, and it looks like the late-night ad windfall CBS was waiting for has indeed arrived. Colbert's impressive Late Show debut was watched by 6.55 million people Tuesday night and notched a 1.4 rating among adults ages 18 to 49. That topped the combined ratings for his two new broadcast competitors—NBC's The Tonight Show Starring Jimmy Fallon (2.92 million, 0.9 rating) and ABC's Jimmy Kimmel Live (1.75 million, 0.4 rating)—in both total viewers and in the 18-to-49 demographic. It's also a big improvement over his Colbert Report swan song on Comedy Central in December, when a series-high 2.5 million viewers tuned in, and the show landed a 1.0 rating among adults ages 18 to 49. However, Colbert's numbers fell considerably short of David Letterman's Late Show farewell in May, which drew 13.76 million total viewers (the show's highest ratings since February 1994) and a 3.1 rating in the 18-to-49 demo (its highest since Oprah Winfrey's appearance in December 2005). Jimmy Fallon's Tonight Show premiere in February 2014 was watched by 11.31 million viewers, notching a 3.8 rating. Thanks to its Colbert lead-in, The Late Late Show with James Corden drew 1.85 million viewers (0.5) Tuesday night, putting it ahead of Late Night with Seth Meyers with 1.3 million (0.4). 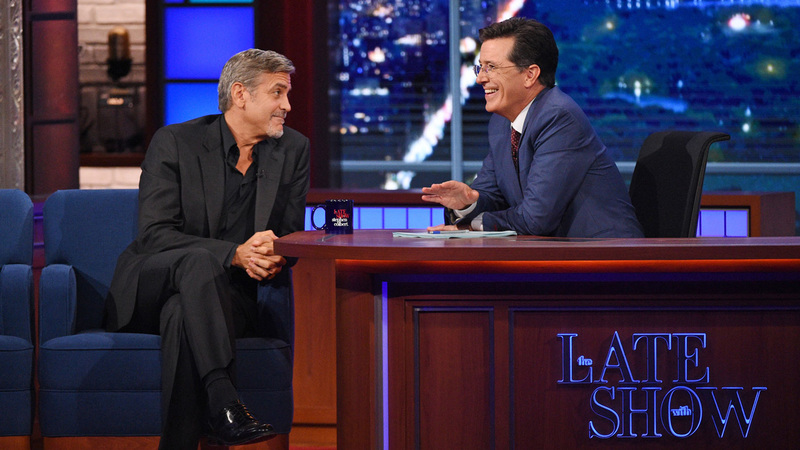 CBS said the Late Show had its biggest Tuesday ratings—aside from Letterman's final week—since July 25, 1995 and its highest 18-to-49 Tuesday ratings since Sept. 4, 2007. The Late Show numbers were good news to those advertisers—including Ford, Amazon Echo and the studios behind seemingly every fall movie—who had bet big on Colbert's debut. Fallon will try to retake the lead on Friday, when he welcomes Donald Trump.